Otto Waste Systems (india) Pvt. Ltd.
We are highly appreciated in the market for our commendable collection of Large Plastic Dustbin. To maintain premium quality our experienced professionals manufacture this product with quality approved plastic. Under the supervision of quality controllers, it is strictly tested on various quality parameters in compliance with set international norms. Our offered product is available in various colors and various specifications at most nominal prices in market. We "Otto Waste Systems (India) Pvt. Ltd." are a leading organization actively engrossed in manufacturing, wholesaling and supplying a wide range of Commercial Dustbin, Recycling Bins, Stainless Steel Bins, Two-Wheeled Bins, Plastic Bins, Four Wheeled Bin and much more. since our establishment in the year 2003. Under this effective array of products, we are offering Two Wheeled Bins, Four Wheeled Bin, and Street Bin. 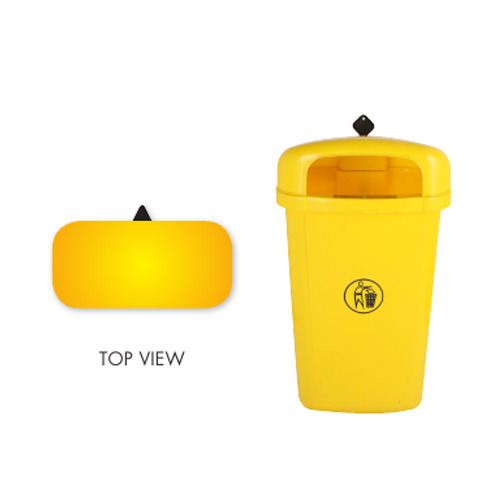 Offered bins are manufactured by using finest quality material in accordance with the set industry norms. We procure basic material from the most reliable suppliers of the market. Our offered bins are highly demanded by the various industries for their crack resistance, durability, and dimensional accuracy. We are offering these bins in various specifications to suit the ever-evolving needs and demands of our valued clients. Our provided assortments are highly admired across the nation for their quality. We are manufacturing these bins as per the industry approved norms and standards. We have installed all the modern machines and tools at our facility. We are fully supported by our team of professionals to achieve the desired goals and objectives. We assure timely delivery of the offered products owing to our well connected logistic network.